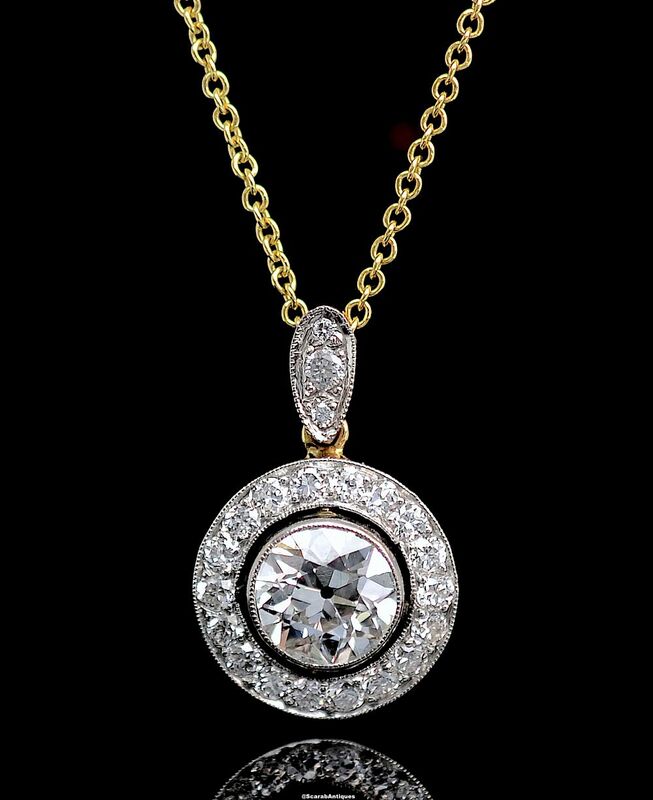 The lovely pendant has a round diamond set into an 18ct white gold rubover tube within an 18ct white gold surround of 18 old cut diamonds the whole surround being 18ct yellow gold backed. The pendant is suspended from a diamond set 18ct white gold fronted & 18ct yellow gold backed bale on an 18ct yellow gold chain. A lovely everyday wear.